I bought the book for my friend and of course I read it before i gave it to him. The book reflects very well the realities of Romania and I was pleased to see that. He liked it a lot and anytime I tell him about Romania he says: " I know, I read it in the book". I really enjoyed reading this book. according to my friend who has already been to Romania it was extreamly accurate. I am very glad I bought this book. I have dealings with people in Romania, both for work and socially, and had been baffled and offended by some behaviors. This book explains all:for example, it isn't bad manners, it's normal manners, it is local custom, to not say "please" or "thank you. "When they get in your face and yell their opinion, it isn't aggression or anger:that's normal conversation.And if you yell right back, they'll appreciate it! Dropping pronouns & even nouns is how they actually talk (as opposed to what we learn in Berlitz or other language schools). 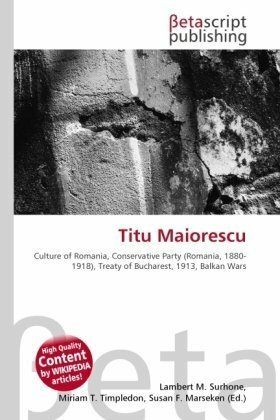 The essays on recent history & politics are very informative on how many Romanian people view, and sometimes envy us; and explains the disconnect between what we, in a free market economy in a democracy mean and what they hear/understand.And vice versa. I wish I had this book a year ago, when I first interviewed for a consultant position in Bucharest. 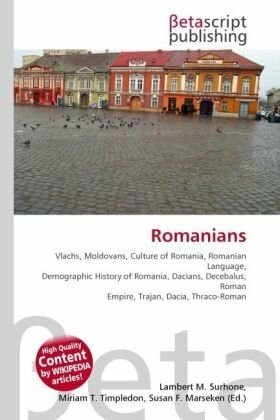 Not only for academics, but for potential tourists (to Romania)as well. Hip and smart, a 'must read' for anyone involved in Eastern European studies. Dr. Roman has done it! After reading many books on Eastern Europe, I was ready to give up; if they were written by Western scholars, they were unanimously deploring the hopeless backwardness of the region. If written by Eastern European scholars, they were just exercises in journalism or news reports. Dr. Roman has done it! After reading many books on Eastern Europe, I was ready to give up; it they were written by Western scholars, they were unanimously deploring the hopeless backwardness of the region. If written by Eastern European scholars, they were just exercises in journalism or news reports. 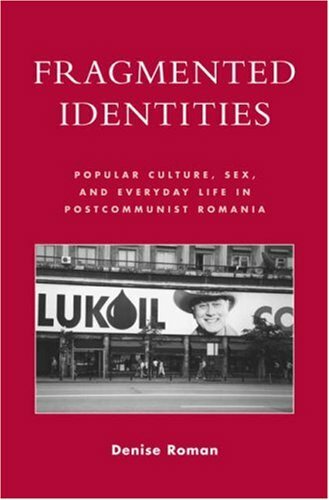 Katherine Verdery is an American anthropologist working primarily in Romania.She has written a number of books on this fascinating and often troubled country. When I started working there in 1992 I found it very difficult to understand quite what was going on, and the background to many of the debates I was encountering. 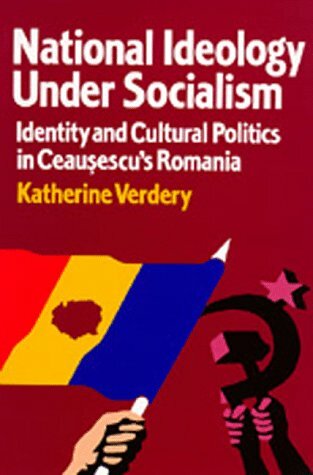 Verdery's book examines the background to National Ideology in Romania, both its historical roots in the 17th and 18th centuries and its more recent history under the communist regime.She also provides an in-depth theoretical analysis of the communist "command economy" and its impact on academic debates in Romania. The book provides several case studies including literary criticism and history. The West has been courting Romania for a decade now. It was given the chairmanship of the OCSE in 2001, and the country has been a reliable US ally in international adventures since then. Once part of the Austrian Empire, then dominated by Soviet influence, the nation actually traces its heritage to the heady days of the expanding Roman Empire, and their language is closely related to Latin. In four long journeys over a 6-year span, this traveling duo uncover a tantalizing blend of German efficiency and Latin nonchalance, French literature and Gypsy music, Western rationalism and Oriental mysteries. Fernandez reveals the rich Romanian essence. Attentive and precise, he digs beneath the somber heritage of communism to reach the deep roots of a European country that is so little-known. Sharp, touching photographs accompany an insightful text. Eschewing stereotypes of Transylvania they reveal the bucolic paradise that unfolds in the foothills of the Carpathian Mountains just beginning to face an onslaught of Euro-wielding tourism developers and examine with a sensitive eye the aspirations of a people who treasure their past but are eager to share the prosperity and modern lifestyle of their neighbors further West. This digital document is an article from East European Quarterly, published by East European Quarterly on June 22, 2000. The length of the article is 2124 words. The page length shown above is based on a typical 300-word page. The article is delivered in HTML format and is available in your Amazon.com Digital Locker immediately after purchase. You can view it with any web browser. 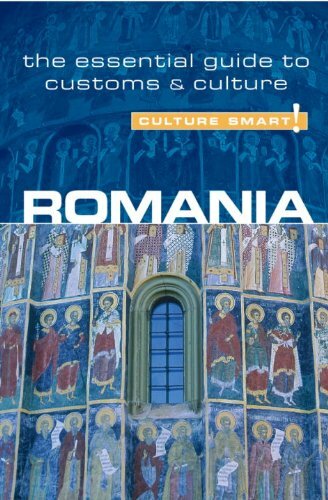 Title: SURVIVAL THROUGH CULTURE IN A SURREAL, ROMANIA. 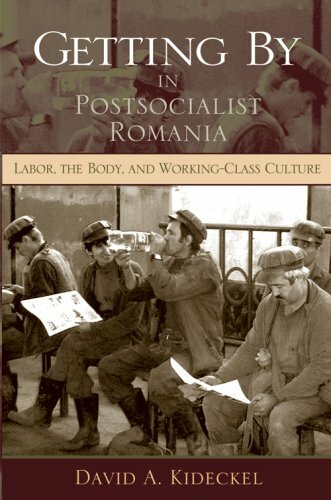 This compelling ethnographic study describes how two groups of Romanian industrial workers have fared since the end of socialism. Once labor's elite, the celebrated coal miners of the Jiu Valley and the chemical workers of the Fagaras region had many social privileges and often derived genuine satisfaction from their work. Today, they are a rarely noted casualty of postsocialist transformations. Fear, distance, and alienation are the physical manifestations of stress experienced due to their precarious job status, declining health, and loss of a social safety net. Kideckel traces these issues in the context of labor, political relationships, domestic and community life, gender identities, and health. Drawing on more than three decades of fieldwork, he presents many narratives from select individuals, in their own words, providing a poignant and illuminating perspective on the everyday lives of ordinary people. 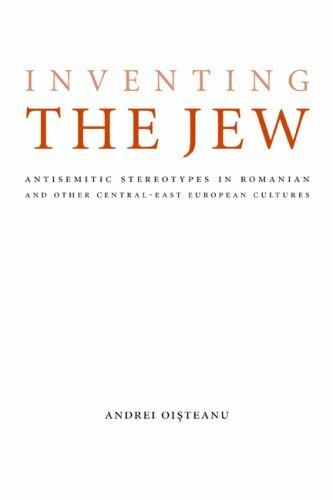 Inventing the Jew follows the evolution of stereotypes of Jews from the level of traditional Romanian and other Central-East European cultures (their legends, fairy tales, ballads, carols, anecdotes, superstitions, and iconographic representations) to that of high” cultures (including literature, essays, journalism, and sociopolitical writings), showing how motifs specific to folkloric antisemitism” migrated to intellectual antisemitism.” This comparative perspective also highlights how the images of Jews have differed from that of other strangers” such as Hungarians, Germans, Roma, Turks, Armenians, and Greeks. The gap between the conception of the imaginary Jew” and the real Jew” is a cultural distance that differs over time and place, here seen through the lens of cultural anthropology. Oisteanu draws on an impressive body of sources revealing perceptions of Jews in legends, fairy tales, ballads, carols, anecdotes, superstitions, and iconographic representations and compares those to representations by journalists, poets, politicians, and scholars. He presents a picture of the "imaginary Jew" in Romanian and other Central and Eastern European cultures in five portraits, each of them constituting a chapter (the physical portrait of Jews, images of the occupation of Jews, the moral and intellectual portrait of Jews, the mythical and magical portrait and the religious portrait of Jews). who criticized and challenged negative and stereotypical images of Jews, including civil and clerical authorities. In 1792, for example, the government of Transylvania (as part of the Habsburg Empire) appealed to the bishops to fight the belief in and accusation of Jews as ritual murderers. The clergy often played an ambivalent role. For example, the publication of "Arguments against the Jews upon their Law and Customs" in 1803 under the patronage of the Metropolitan Bishop of Moldavia contributed to the outbreak of pogroms in Bucharest and Jassy in the same year. However, the new Bishop of Moldavia, Veniamin Costachi, gave refuge to the Jews in his church and challenged the pogromists. The important role of antiantisemites becomes evident in comparison to the pogrom of 1903 in Kishiney, the capital of Bessarabia and part of the Tsarist Empire at the time. The allegation of ritual murder was endorsed by the bishop, and the Tsarist military did not intervene against the pogromists, resulting in a high number of casualties. Unfortunately, some members of the clergy still endorse antisemitic views. In the 1990s, the theological work Teologia luptatoare ("Bellicose Theology") from the 1930s, which includes blatant antisemitic conspiracy theories and demonization of Jews, was republished under the patronage of the Metropolitan Church of Husi with the imprimatur of His Excellency Eftimie. Charles King, the author of the book, is an assistant professor in the School of Foreign Service and the Department of Government at Georgetown University. 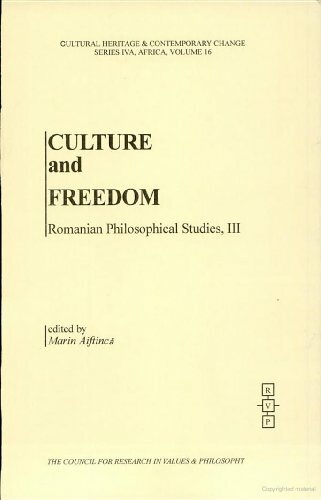 Funding for the research on which this book is based, was provided at various stages by the British Marshall Commemoration Commission, in the form of a British Marshal Scholarsip; St. Antony's College and New College, Oxford; the Social Science Research Council, via a Graduate Training Fellowship; and Georgetown University, through the Ion Ratiu Chair of Romanian Studies, to which the author was elected in 1996. Although the author tries to be unbiased and wants to keep neutral point of view, the book somewhat reflects the point of view supported by the organizations above mentioned, and also by the official political point of view of Western countries towards the Republic of Moldova (RM) at a time of writing of this book, although the archival and library resources used by the author were located mainly in Romania and RM. The major sources of information were The Central Historical Archive Division of the National Archives of Romania in Bucharest; the former archive of the Communist Party of Moldova (now renamed to the Archive of Social-Political Organizations of the Republic of Moldova); as well as other sources. 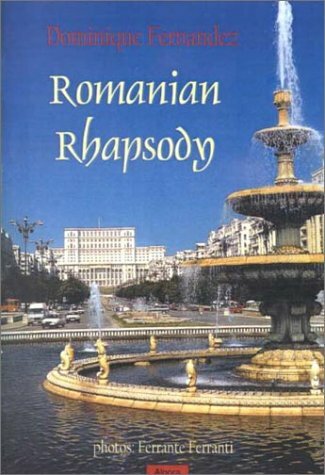 I have used this book as a source of Historical Data to contribute to Wikipedia articles related to Moldova. 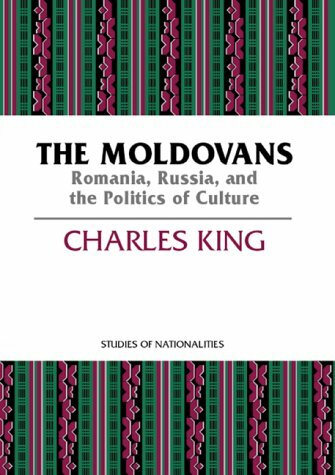 Charles King's "The Moldovans" is an excellently written history of a little known East European borderland and its intriguing people. While its physical appearance and membership in the Hoover Institute's old "Nationalities of the USSR" series may indicate dry and rigid academic work, it is certainly not. King here has written an interesting history of the Bessarabian/Moldovan people, the first in English, through the context of nation and national identity building. History buffs and area enthusiasts will find themselves enjoying the blend of history, politics and more recent events within newly independent Moldova. For an introduction and some answers to the convoluted and confusing intra-state conflict with the DMR (Transnistria), look here. The subject could be considered college reading but the writing is clean, clear and professional at a point where you know a highly laudable individual is behind this work, but not some Cornell West writing for the benefit of his fellow academics. King's history is incredibly lucid and readable. This is good history as it should be.